Well I lucked out again, this card qualifies for several challenges. 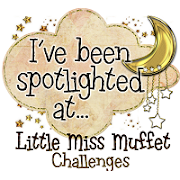 First and foremost, because I am an honorary fairy (lucky me), Fairy Fun Fridays Challenge 9 - to use the color green. I love this sweet little girl all ready for bed. 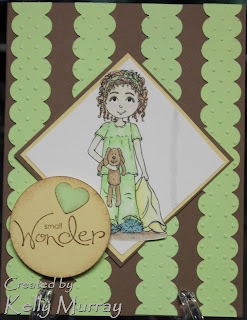 I used the sketch from Card Patterns Sketch 53; added scallops for Digital Tuesday Challenge 48; it's girly for Simon Says Stamp Challenge; Delightful Sketches challenge is to be kid themed; and Cute Card Thursday Challenge 102 is Lucky Green. Hmmmm anyway notice a theme of green this week in a lot of different challenges. I colored her with the coloring pencil technique showed on Prairie Fairy's site as a tutorial, super easy and works great. What a cute image! 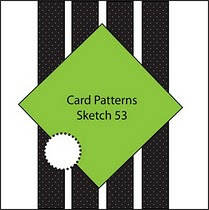 Thanks for playing with us at Card Patterns! Your card is totally adorable Kelly! Love it! Such a cute card. Thanks for joining us at Delightful Sketches and Challenges. Verry pretty, love the embossed background and the sentiment and ofcourse this lovely image. :)) Thanks for playing with DS. This is just adorable! Love the green and brown color combo! Thanks for playing along with us at Delightful Sketches and Challenges! This is super adorable, I love the colouring and the green and brown are great together. For some reason my comment from last night isn't showing up here, what the heck! great job btw!!!! That is such a super sweet image and the green goes perfectly with it! Hi Kelly, What a great card! Love the embossing on the gren strips. 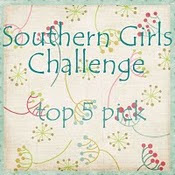 We've just posted our second challenge at www.justscraps.ca and would love to have you play along! love this cute little girl with her teddy bear and the shades of green. thanks for joining in with us at CCT this week. Very nice!! Thanks for joining us at Delightful Sketches and Challenges!